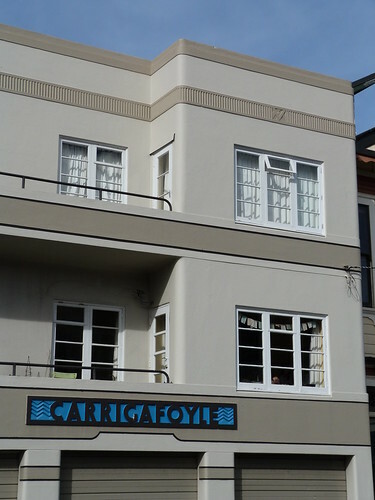 A google search of Carrigafoyle, Wellington will produce information on an historic house from the early 20th century designed by Plenty & Blake. 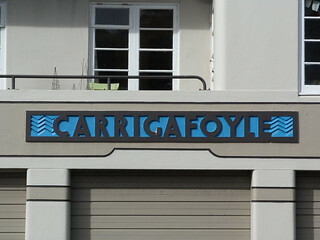 These flats bearing the same name are next door. 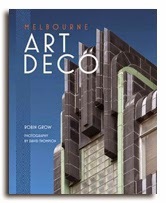 Greetings if you are in Leeton (or on your way there) for their second Art Deco festival. 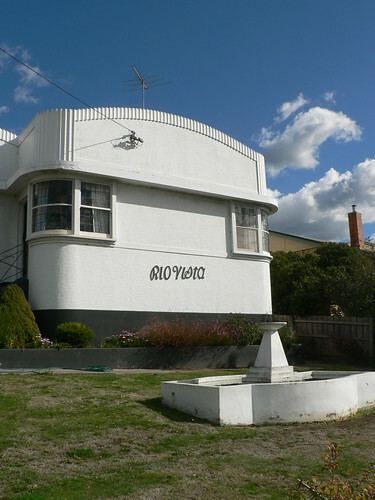 Perhaps your are staying in in Historic Hydro Motor Inn in Chelmsford Place, right in the centre of town. 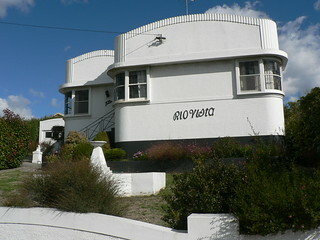 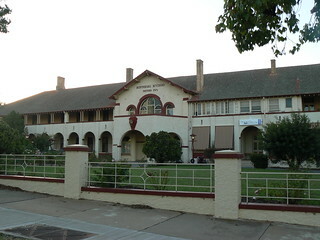 The "Hydro Accommodation House", designed by the Department of Works, was opened in August 1919 and its design reflects this immediate post-war period rather than a more Deco style. 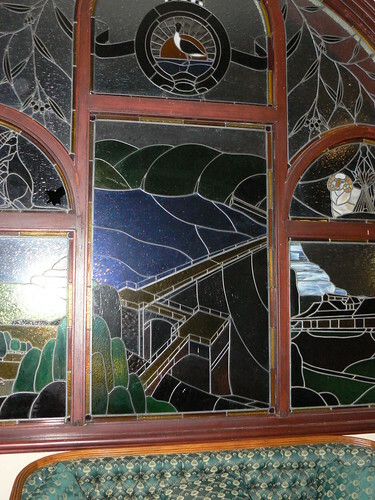 Even if you're not staying there, make sure you pop in and have a look around, especially the stained glass window on the second floor. 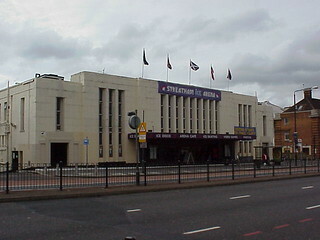 I took this photo of the Streatham Ice Arena around 2000. 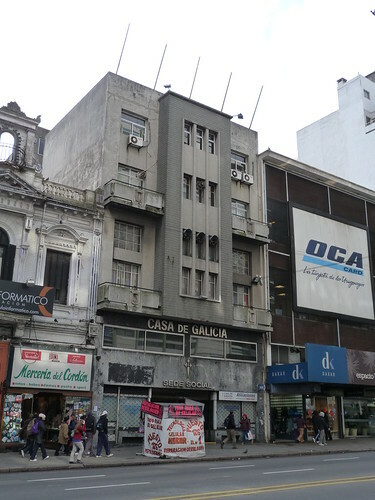 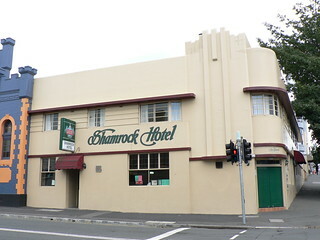 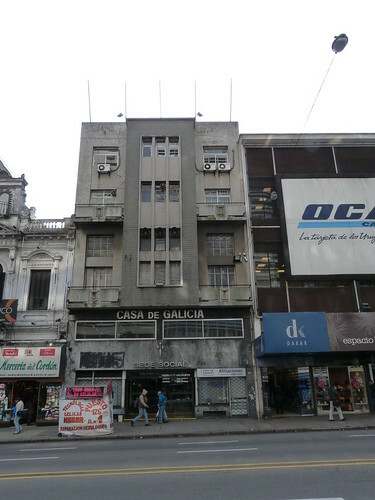 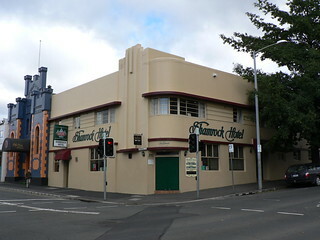 It opened in 1931 and closed on December 16 2011 and has since been demolished to make way for a supermarket development. 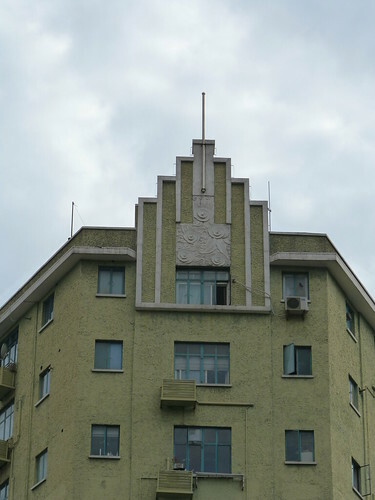 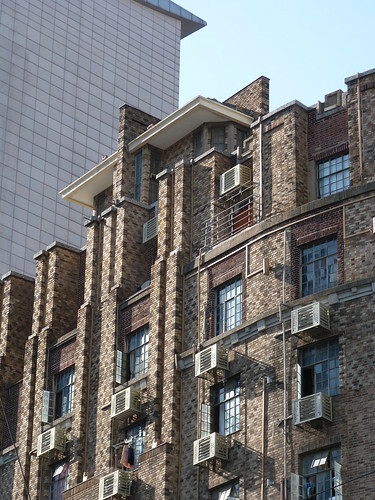 This is Washington Apartments in Hengshan Road in Shanghai dating from 1928. 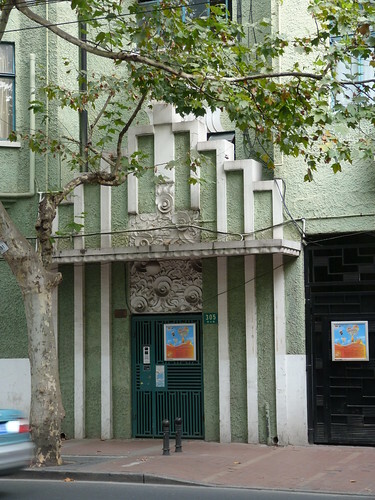 Art Deco Shanghai by Tess Johnston & Deke Erh. 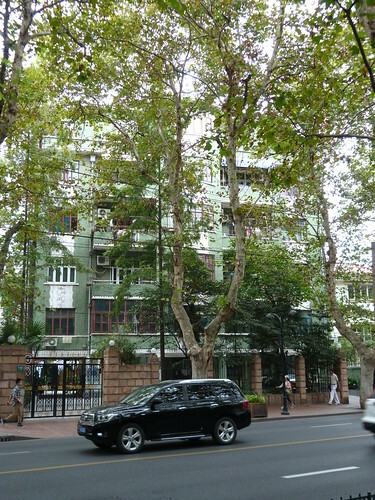 Is it wrong to hate trees? 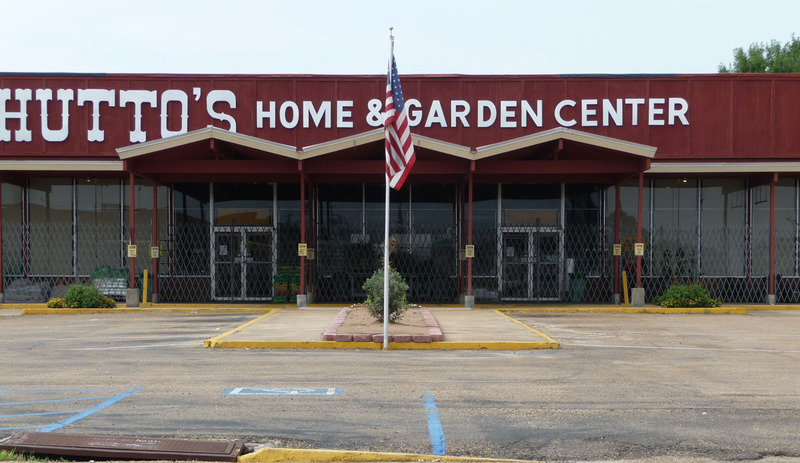 Of course it is, but gee, they get in the way of my photos sometimes. 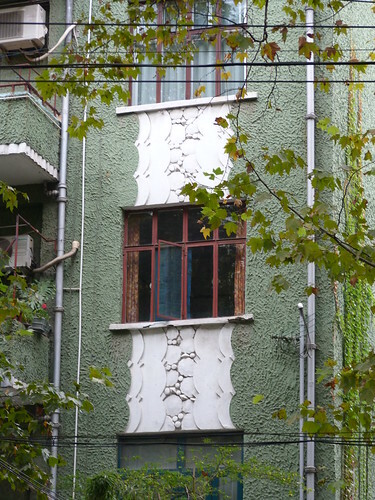 Anyway there are some close up views below of the decoration on these apartments in Shanghai. 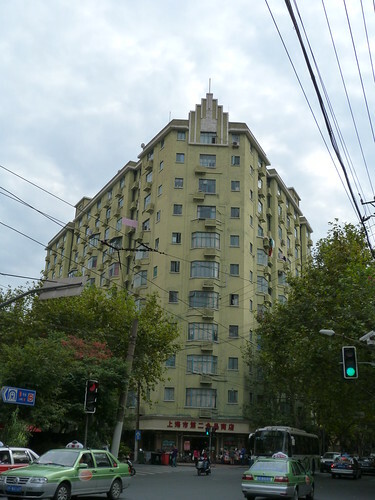 Checking through my Shanghai notes I've worked out that these apartments are called Petain and were built in 1934. 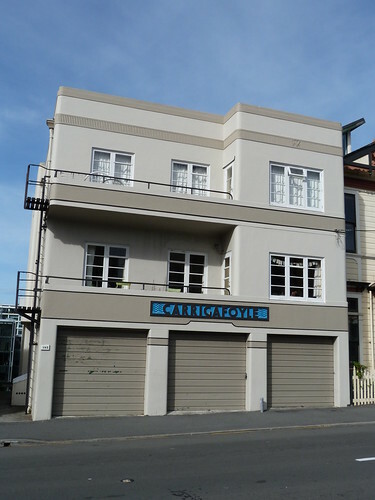 This is an apartment block with the somewhat unusual name of Denis, unusual for a block of flats anyway. 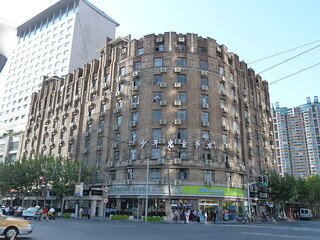 They are located in West Nanjing Road in Shanghai. 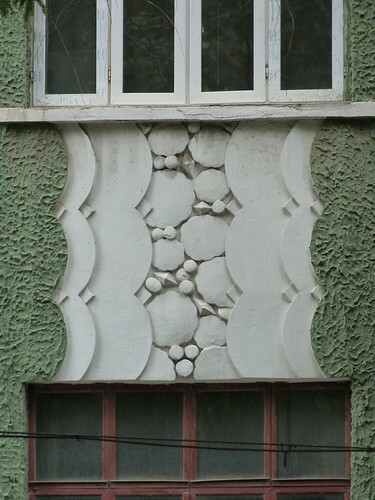 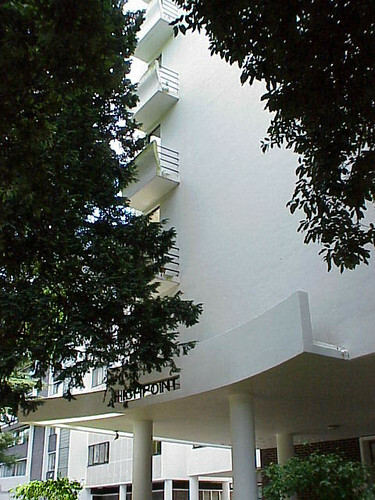 They were designed by Eric Cumine and built in 1928. 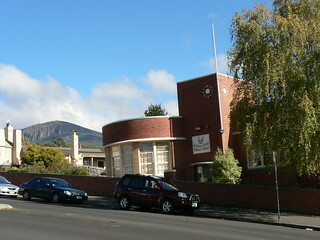 The first school was built in Goulburn Street, West Hobart in 1844 followed by a new school which opened in January 1887 and served the local community for over 50 years until disaster struck in September 1942 when fire destroyed the building. 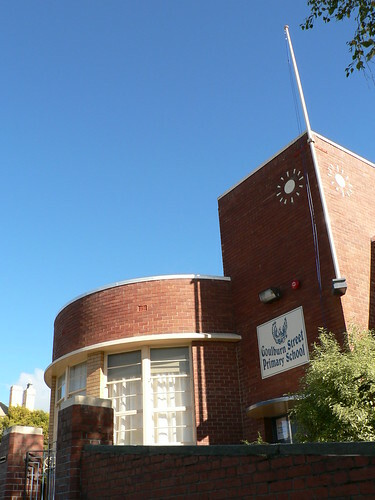 Somehow the school library, gymnasium and office survived the fire as did the Infant School which was 30 metres from the main building. 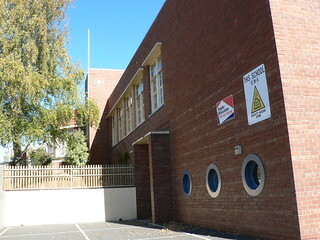 The 300 or so pupils continued there education in temporary accommodation but by August 1943 they were able to see a new school being constructed with the laying of the foundation stone by the Minister for Education, Mr Cosgrove. 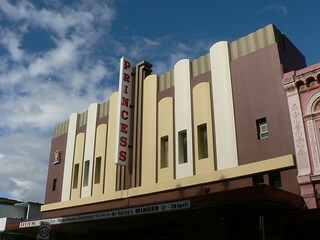 The Princess Theatre was built in 1911 but the façade and foyer were remodelled in 1940 giving us this striking building.